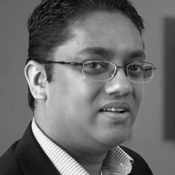 Kes Sampanthar, Director of Media Strategy as Cynergy, an award winning agency, and expert in innovation and creativity explains the innovation process and it’s critical missing step. He explains why this important step has been dropped or glossed over in most companies and how we can incorporate it again. Drawing from research from Jacques Hadamard, Henri Poincare and Albert Einstein conducted over 100 years ago he reveals the critical step and how it has been used throughout history. He also delves into the neuroscience behind the missing step and how it works.